The other side of community involvement in an open source project is the end users. It's hard to be a successful open source project if no one is using it! But aside from providing documentation and forums, how else can projects and users connect? One way is a users group, a type of club where the members all share an interest in a particular arena. SHARE is one of the oldest computer users group around. The basic idea behind a users group is to provide more resources and share information among a local cell, provide support, encouragement, new ideas, mailing lists, and more. There are some challenges with belonging to a users group, managing a users group, and representing your open source project in a users group. 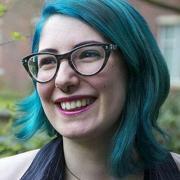 Kara Sowles is a Community Manager at Puppet Labs, a tech company in Portland, Oregon. She speaks on user groups, community, and planning great events. After working at Puppet Labs during the day, she goes home and makes stop motion animated films with real puppets at night (the irony is not lost on her). Kara spoke at OSCON, LinuxFest NW, OpenWest, and PuppetConf in 2014, and this year, she's speaking at SCALE13X with advice for growing a technology users group. How did you land at Puppet Labs in community development? How did that lead you to users groups? I stumbled on community management without knowing much about it, as so many do! Having a fantastic manager with a deep knowledge of community management made all the difference. When I started at Puppet Labs, there were a few Puppet user groups that a previous community manager had pulled together, but they hadn't met in a while. As I began to nurture them, and to encourage new groups, we grew from 5 user groups to 50 in a span of 2 years. They're run individually by community members in each area, and we provide support and advice. They quickly became one of my favorite parts of my work; watching them grow was so rewarding and tangible. I've got a great local Linux user group (novaLug) that I hardly make time to attend, even if there's a speaker on the books I like. How can users groups get better traction with attendees? First off: content. Groups should both schedule an interesting speaker or activity, and make it clear to attendees why it's going to be interesting. They can't read your mind, and they may have no idea what makes the speaker/topic worth attending for. However, as you noted, it's hard to find time to attend user groups, even when it's a speaker you like! One of the hardest challenges for any group is to convince its members to take that step out the door and attend. The little things can make a large difference. A regular meeting cadence (for example, first monday of each month) helps members develop attendance habits. Sending reminders about the meeting both several weeks before the meeting, and a few days before the meeting, help get the event on the calendar for attendees, and remind them to actually come. I forgot the reminder email once, and a usually 30-person group had only 6 attendees, ouch! These small, simple things come down to setting expectations for attendees. If attendees know when the meeting will end, if there will be food, if there's parking nearby, it makes the event more accessible to them. It lowers the uncertainty factors of: Will I enjoy it? Will I be hungry? Will I find parking? Those things often stop folks from stepping out the door. I know it sounds basic, but it's important! Part of a successful open source project is adoption. Puppet, for example, is popular enough now to have it's very own users groups. How can projects use local user groups to get the word out? User groups are an excellent way for projects to spread the word and find new users, long before they're able to create their own groups. It's important to remember that user groups in tech are very interested in quality technical content—and understandably sensitive about marketing. Offer to give a talk at a user group, but don't make it a pitch. Think about the audience for the user group, and design the talk with them in mind. Don't be afraid to ask the group organizer about their audience—what they're interested in, what they're familiar with—and look at what talks the group previously hosted. If there's a lot of interest after the talk, consider a hands-on follow-up meeting. People love to try things for themselves, especially when there's someone walking them through it and answering questions. How do you know when the user community is involved enough to support a local user group? Are there moves to online users groups? When I'm looking at starting a group in an area, I'll set up a page to test the waters by meeting 2x or 4x a year. Some areas aren't ready to support a user group every month, but can have great meetings a few times a year. If you set expectations on the group page by noting: "This group meets X times a year, our next meeting is X day/month", the page looks purposeful instead of abandoned. It depends a lot on the attendees, too. I've seen groups with eight regular members that are excited to meet every month, and groups with 20 regular members that decided to simply close down. Online groups can be as tough as in-person ones—or as rewarding! The web is littered with ghost towns where online communities used to be. Online vs. in-person has a lot to do with the tool the group is centered around, and the members. Are folks attending to hear new concepts? To get help with daily problems? There's no hard rule for it, you have to consider your community's needs and habits. "Coraline" was produced in by a Portland stop motion studio, is there a strong stop motion users group you belong to? Any other users groups you're involved with? I wish! If there is an animator's user group in Portland, I haven't found it yet. There's a strong animation community in the city, stretching back to the original Will Vinton studios. "Coraline", and the studio Laika's other works, are some of the most breathtakingly intricate stop motion works every produced. I co-run the Portland Puppet User group and the Portland Community Leadership meet up. Running a group is good for me, it's humbling and frustrating and wonderfully rewarding. Even when you know what best practices you're supposed to follow in running a user group, it's so easy to slip up. When you're busy with work and home life, finding time to do a great job running a regular group is tough. It's important to remember not to beat yourself up about it—just do your best. I'm fond of saying "you get the culture you reward." What do you think? How does culture affect the health and success of a users group? How can you keep a users group from turning into an echo chamber? You're right—culture is crucial! People don't need to take their precious free time to attend, and if the group isn't pleasant, they won't return. This is one of the reasons that having a Code of Conduct for user groups is so valuable. It sets the expectations for behavior, and it lets members know that they don't have to tolerate bad behavior from others. I've had a many folks mention to me, after talks, they they wish they'd adopted one sooner. One nasty member can ruin a group, so group leaders are responsible for removing members who are pushing other attendees out of the space with their behavior. I can definitely think of user groups I won't return to that were run by great people but had members who were disrespectful or wouldn't leave me alone. One good technique for avoiding an echo chamber is to co-meet with other groups occasionally, as I've already mentioned. Another is to intentionally hold beginner sessions, and to promote them clearly. It's worth being very clear what the expectations / prerequisites are for beginner meetings—it's you vs. their impostor syndrome, and you want them to attend! If you don't list the prerequisites (no coding experience necessary, you can bring a laptop but you don't need to, etc. ), people will imagine much scarier, more restrictive ones themselves, and rule themselves out. Setting expectations is a way of welcoming people. Thanks for taking the time to interview me today, and I look forward to seeing folks at SCALE!